Is the collapse of the traditional two-year MBA in Russia part of a wider global trend? “Full-time MBA programs don’t work at all in Russia,” says Valeria Pavlyukovskaya, former MBA director at the Moscow School of Management Skolkovo. When Valeria joined Skolkovo in 2012, its full-time MBA was running at a loss, attracting only one intake of 35 students every 18 months. She redesigned the program into a part-time modular format in 2013. Since then, numbers have almost doubled. Globally, the traditional full-time, two-year MBA is in a state of decline. Application numbers to full-time programs in the US have stagnated since 2012. According to figures from the Graduate Management Admission Council (GMAC), applications fell in 53% of US business schools this year, and only 43% recorded growth. Shorter, one-year MBA programs are commonplace in Europe and part-time executive programs are on the rise. While business education in Russia is still in its infancy, Russian business schools are adapting to the global market change. 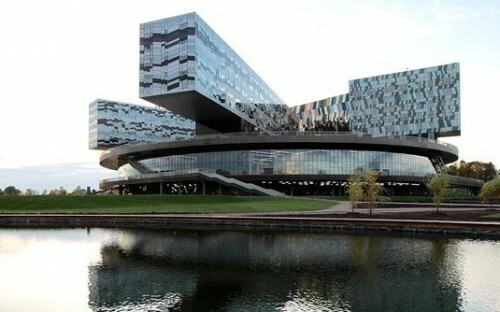 Skolkovo’s EMBA program attracts three intakes of around 45 students each year. Some of this is down to necessity. Since the fall of the Soviet Union, Russian business schools have struggled to attract foreign students, develop or retain high-quality Russian-speaking faculty. The value of a full-time MBA in Russia is small. Yet Zaitsev Michael, EMBA director at the Institute of Business Studies Moscow (IBS), insists Russian schools are actively tapping into a wider trend. “The full-time MBA is absolutely not popular in Russia,” he says. “All of our participants are working people. They don’t want to leave their offices so they study part-time in the evening, on the weekend, or on a modular program. IBS did have a full-time MBA program several years ago but it was quickly discontinued. “Most of the participants were wives of rich businessmen with nothing else to do,” Zaitsev laughs. IBS offers an EMBA in collaboration with Belgium’s Antwerp Management School, giving its students international exposure and credibility. Yet while the Antwerp-IBS EMBA is ranked in the world’s top 100 by the Financial Times, only Antwerp’s name appears in the rankings. IBS lacks the necessary AACSB accreditation to be mentioned. Zaitsev’s five-year plan is to attain AACSB accreditation - based on criteria including graduates’ future financial prospects, the number of full-time faculty and international research publications - and have IBS feature in the global rankings. He’s positive about the future of business education in Russia, but he doesn’t see the traditional full-time MBA as part of it. “No matter what the Western press write about corruption and the absence of possibilities to make business in Russia, I don’t see any reason why the development we’ve seen in business education will decline,” he continues. Valeria agrees. She sees part-time programs being in high demand. Yet long-term, she anticipates more wholesale change. Already, Massive Open Online Courses (Moocs) are disrupting the global business education market. Business schools are looking to introduce alternative MBAs through online platforms. And Moocs provider Coursera is starting to translate courses into Russian. “Soon, language will no longer be an issue,” Valeria continues. “And Russian applicants will have access to low-cost, high-quality programs from leading business schools while staying in Russia.